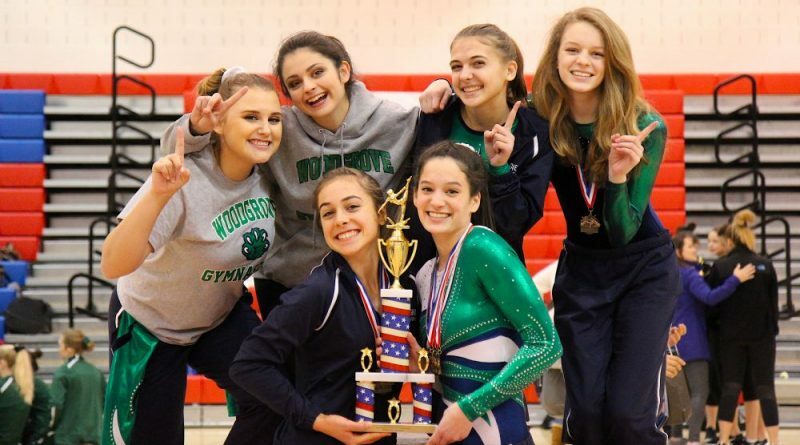 The Woodgrove Varsity Gymnastics took first place in the red division during the Glory Days Invitational at Park View High School on Saturday. Woodgrove competed against Rock Ridge, Potomac Falls, Loudoun Valley and Heritage high schools. Host team Park View came in first in the lower blue division. Woodgrove sophomore River Stone placed second on vault and bars, fourth on beam, fifth on floor, and third all around. Senior Sarah Snare placed first on floor, fourth vault, 6th on bars and fourth all around; freshman Jodi Snare placed sixth on vault. The team’s home meet, which was postponed because of snow on Jan. 5, has been rescheduled for Tuesday, Jan. 24. The team’s next competition will be on Saturday, Jan. 14, at an invitational in Harrisonburg, followed by a conference match-up on Wednesday, Jan. 18, at Heritage High School.